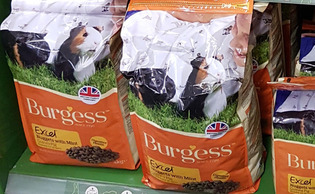 An independent pet supplies business with a heritage that goes back over a century, Four Oaks is trusted by customers from across the region. Proudly independent, we look after all of our customers and will go the extra mile to make sure you’re happy. With over 12,000 different product lines from the world’s leading brands, you’re certain to find everything you’re looking for at Four Oaks. 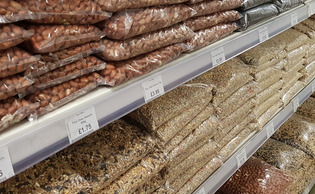 We hold extensive stock at our expansive superstore and our close links with leading suppliers enables us to quickly source specific products for you if required. 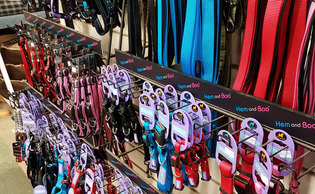 Whenever you visit us, you’ll get a friendly, personal service that the big national pet chains simply can’t or won’t offer. Always happy to take the time to provide you with honest, expert advice, we want you to come back time and time again, and will do everything we can to make that happen. 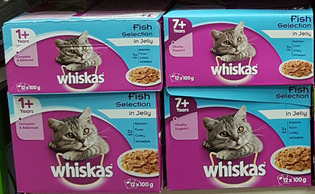 We don’t like to be beaten on price, and we’re competitive with the much larger national chains. You’ll find loads of special offers and promotions, and we’re more than happy to provide discounts for bulk buyers. 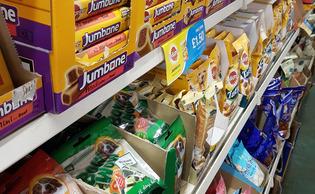 Regular customers can also benefit from our loyalty schemes, held with many major manufacturers. At Four Oaks, we love animals! Our highly trained team is constantly learning, and we like to keep up to date by undertaking the latest product training courses. With specialists in every field, you can benefit from honest help and expert guidance on a full range of subjects, including nutrition, health, exercise and behaviour. 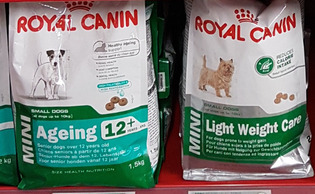 For further information about Four Oaks Pet Supplies, call 01723 863633. Alternatively, why not visit us in store?